Where quality meets affordability. 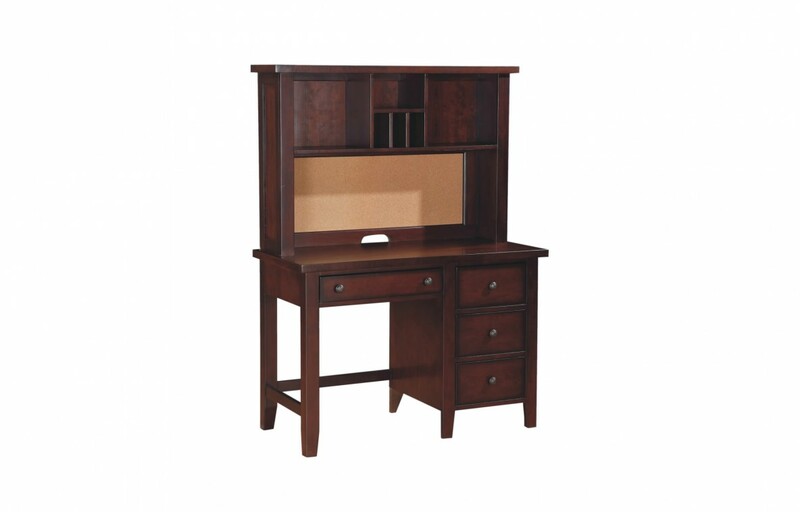 Hardwood and cherry veneer in dark cherry finish in desk and hutch. Whether you are furnishing for an adult or a youth work area, you will certainly appreciate this transitional collection.